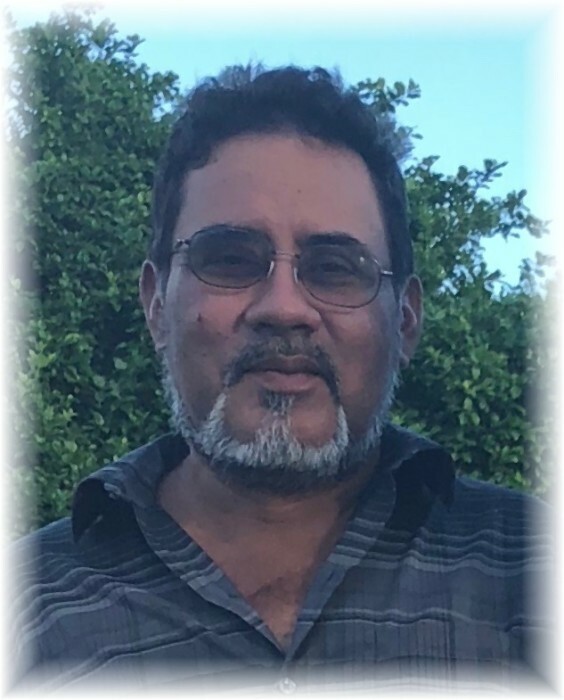 Erasmo Garza, Jr., 54, entered eternal rest on Wednesday, November 21, 2018 at Doctors Hospital at Renaissance in Edinburg. He was born on Sunday, June 14, 1964 in Edinburg, Texas to Erasmo Garza, Sr. and Virginia Gonzalez Garza. He is preceded in death by his parents. Erasmo is survived by his siblings; Juan G. Garza, Irma (Bonifacio) Salinas, Enrique (Yvonne) Garza, and Jose Luis (Olivia) Garza, numerous nieces and nephews. Erasmo lived in Edinburg all of his life and was a graduate of Edinburg High School class of 1982. He enjoyed fishing, collecting bronze items, and corvettes. He was a hard worker and a master carpenter. He loved working in construction and carpentry work. He will be missed by his family, but his memories live on through his siblings and friends. His family will receive friends on Friday, November 23, 2018 from 4:00 PM - 9:00 PM with a Rosary to be prayed at 7:00 PM in the Chapel of Peace at Ceballos-Diaz Funeral Home, 322 East Kuhn Street in Edinburg. Catholic mass will be held on Saturday, November 24, 2018 at 11:00 AM at Holy Family Catholic Church, 1302 East Champion Street in Edinburg. Catholic burial will follow to Palm Valley Memorial Gardens Cemetery, 4607 North Sugar Road in Pharr. Funeral services have been entrusted to Johnny Garcia, Manager/Funeral Director and Staff of Ceballos-Diaz Funeral Home.